The Bad air can have very harmful effects on your health, especially if you are prone to heart or respiratory diseases or to dust allergies. While it can be very hazardous for certain health conditions, it is always safer for anybody to protect themselves from it, as it is known to cause harm to general human health. Here at Tollotoshop, we review some of the great products. The major pollutants in a haze that causes a great amount of harm to your health are the particles that are smaller than 2.5 micrometers. The effect of haze on your health can be related to the acuteness of haze and how long you are exposed to them. During the period, the quality of air drops down to very low and this happens when haze is prolonged. This is when you have to take a very good care and proper precautions to avoid the side effects it can have on your health. Avoid going out and stay indoors: While the healthy adults, who go out for exercising should avoid going to crowded and congested areas, especially during the busy hours, pregnant women, young children and adults suffering from respiratory illness, and people, who are more prone to allergies should completely avoid going out and strictly stay indoors, especially when the haze reaches the unhealthy levels. Keep the doors and windows closed and don’t let a haze to reach in even from the smallest openings: You might have taken enough precautions for not going out, and staying indoors. However, what would you do if the haze enters the place where you are staying? Do put your air conditioner on and keep your doors and windows closed. However, when the weather is very hot, it might be dangerous to stay indoors without getting exposed to air. In that case, it is safer to look out for an alternative shelter. 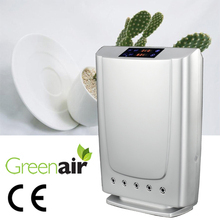 Always have air purifiers at home: Opt for an air purifier that is most suitable for the size and type of the room. 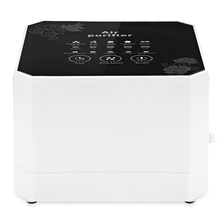 Have one air purifier for each room. 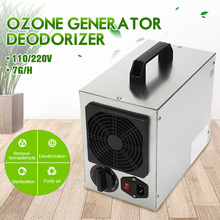 Do not use air purifiers that generate ozone as they may generate air pollutants. 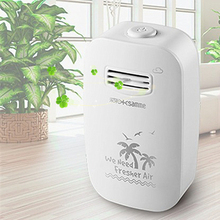 Always see that every room is regularly cleaned with air purifiers in an effective way. Also, replace the fillers in the air purifiers as per the instructions provided by the manufacturers. Get your air conditioner serviced regularly: The working condition of your air conditioner should always match its highest standards. For this, it is highly important that you get it serviced at the right intervals as air conditioned buildings are prone to absorbing the fine particles through the intake of fresh air and also from openings and gaps. Install air conditioning cleaning device if the building has a central air conditioning system: This reduces the risk of air contamination that can happen through contaminated air circulating in the entire building. Take regular medication if you are suffering from heart or respiratory disease: If you are a person, who is suffering from heart disease, or if you are prone to respiratory diseases or allergies, do seek immediate medical advice when you feel breathless at any point. Increase the intake of fruits and vegetables and drink lots of water: These help your body in flushing out the toxins that would have gotten absorbed from your skin and lungs. They also help in enhancing the functioning of the immune system. And, consuming more of fruits and vegetables that have anti-inflammatory properties can reduce the risk of inflammation that can occur due to the fine dust particles in the air. Reduce the intake of caffeine and alcohol: Do cut down on the intake of caffeine and alcohol as they reduce the fluid content and also separate the nutrients from the body. Avoid smoking indoors and also limit the use of a gas stove, wood fireplaces, candles and anything that emits smoke: In an enclosed area, when there is an emission of smoke from burning sources, they may not move out and might get trapped internally. Such an effect for a prolonged period can cause hazards. 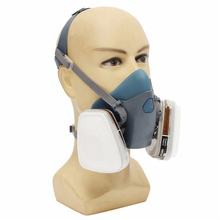 Use respirators instead of surgical masks when you have to go out: While you are outside in China, use respirators instead of surgical masks as they seal better and stop the air that is polluted entering your nose and mouth. 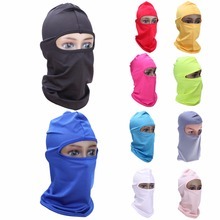 They will also have filters that remove fine dust particles from the haze. Use of respirators is highly recommended when you experience haze-related conditions indoors as well. Sometimes, during emergencies, you may not be in a position to avoid going out or driving during haze. The following precautions can help you in avoiding the danger you might encounter during the haze, when you are out. When the visibility is very poor due to the haze, you may want to avoid driving and use public transport. While you are driving, do not speed up. Drive at the speed that is suitable for the road conditions. Keep all the windows of your car closed. Avoid passes and crossing traffic. Always stay alert while driving.